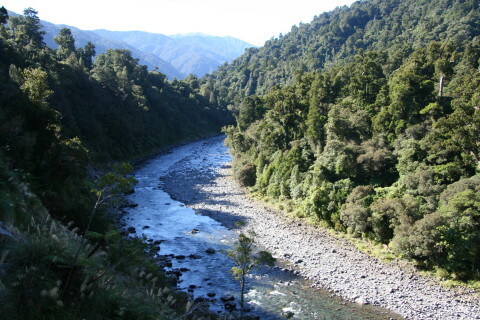 This is a serious tramping track, suitable for a day loop walk (allow 6 - 7 hours) from Waiohine Gorge, or for access to other walks in the Tararua ranges. 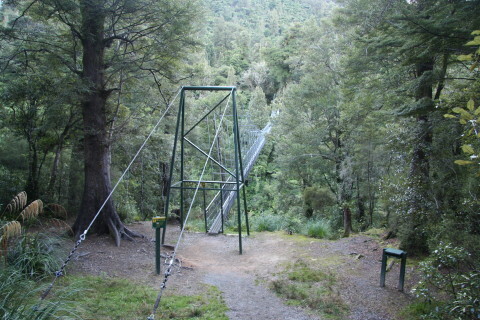 Starting from the Waiohine Gorge roadend carpark, cross the swing-bridge and signposts lead either directly uphill (Cone Hut Track) or along the river toward Totara Flats hut. If you go clockwise and head up the Cone Hut track, it climbs reasonably steeply from 200 m at the swingbridge to about 580 metres along the ridge. Other than the steep climb the track is good and the bush along the ridge is very nice. 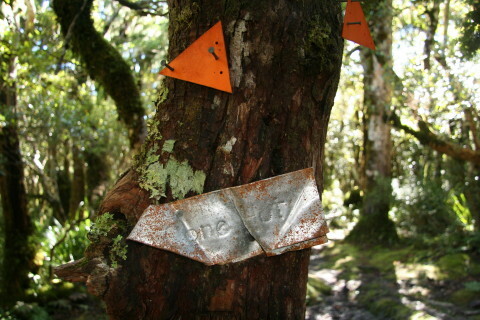 After about 2 hours there is a signpost to Cone Hut on the left, and about 15 minutes further on another signpost to Cone Hut, and close by a sign to Neill Whinchombe (serious tramping track up to Mt Hector), along with the Cone Saddle track back down to the Waiohine River. The Cone Saddle track follows a more gentle gradient along a ridge at about 500 metres, with a 572 metre hump along the way. However, this track is quite damp in places, with some areas of low ferns and cutty grass obscuring the track. The track is also quite rooted with many muddy areas. Keep an eye on the orange triangles. It is easy to lose the track in a number of places (more so on the way down). When crossing Clem Creek, there is a large orange triangle on the southern side, and the correct area on the northern bank has a little grassy area with stones around the edge (the track leading off from the left of the grassy clearing). Arriving back at the Totara Flats track near the river, this is not a flat track as the map may suggest. The track is also rooted and muddy in many areas, with a number short, sharp climbs and a river crossing (Clem Creek) which should not be attempted if the river is swollen with water. Nearer the swingbridge the track improves with some wooden boardwalks and gravel track bordered by larger stones. Allow 1.5 - 2 hours from the Cone Saddle track back to the swingbridge (it is about 4 hours from the Swingbridge to Totara Flats hut). The Totara Flat track eventually joins up with the Gentle Annie track and Mt Holdsworth. 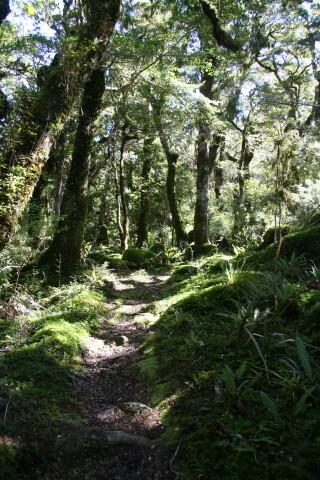 The track to Cone Hut leads on Smith Creek hut and Marchant entrance at Pakuratahi. These longer walks generally involve an overnight stay at a hut along the way. 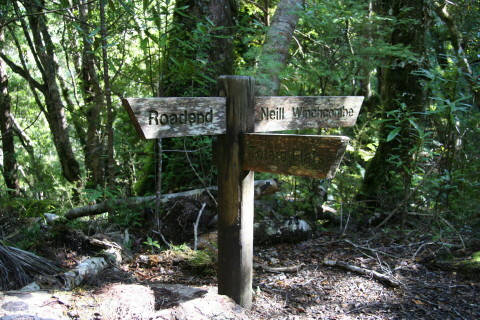 Follow the signs to Waiohine Gorge on the left north of Greytown, just past the Waiohine River bridge. A Cheeky Monkey production, sweet as bro!